"I might have done the wrong thing as a diplomat. But I couldn’t abandon those people who had come to me for help. I didn't do anything special. I just did what I had to do." 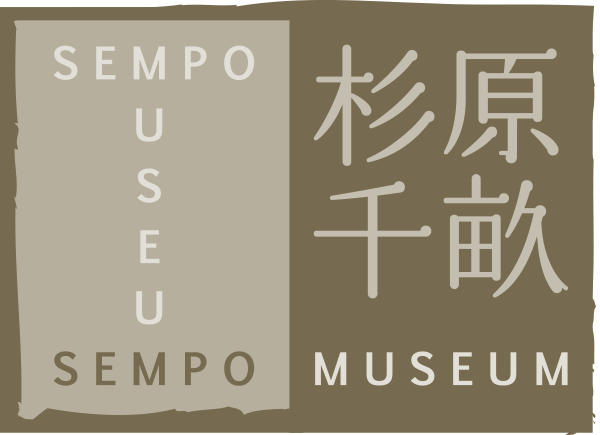 Welcome to the website of the Chiune Sugihara Sempo Museum. The museum celebrates the memory and legacy of my grandfather, whose selfless actions as a diplomat in wartime Europe nearly eight decades ago saved the lives of thousands of Jewish refugees from slaughter by the Nazis. 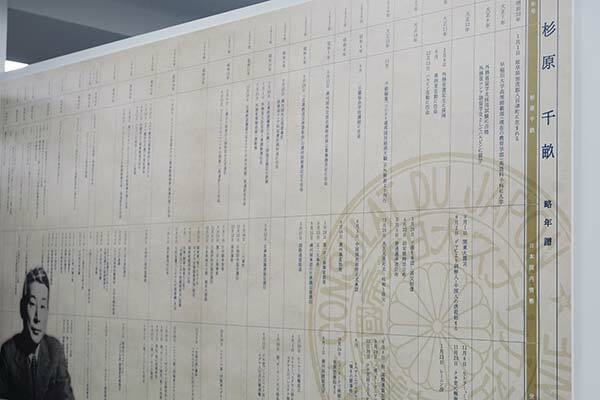 It is only in recent years that Chiune's deeds have become more widely known in Japan. He is now being taught in junior high school curriculums, and material distributed by the Japanese government at the World Economic Forum in Davos in 2018 featured two full pages dedicated to the remarkable rescue in Lithuania. 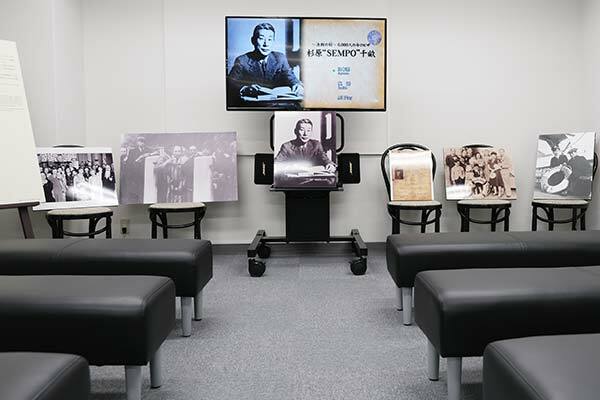 NPO Chiune Sugihara Visas for Life, which I am honored to serve as chairman, has actively participated in lectures, Holocaust memorials, photographic exhibits and other events at home and abroad. The family has long maintained a private trove of photos, documents and other items related to Chiune's eventful life. In particular, Chiune's memoirs, written in his later years at the urging of his wife, my grandmother Yukiko, offer a vivid recounting of the intense psychological pressure he faced in reaching his bold decision in Kaunas. I remember as a teenager helping to transcribe the memoirs from his handwritten notes. Even as I struggled with the prose, which featured old-style phrasing and many Chinese characters no longer in use, I remember being overwhelmed by the momentous story. It was the first time that my grandfather had ever mentioned the incident, nor did he talk much about it afterwards. It was clear to me, though, that these were invaluable records, and the family has carefully and quietly preserved them in the decades since along with the other items bequeathed to us. 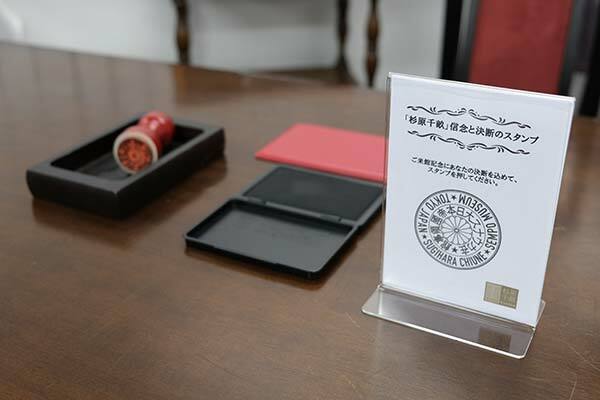 With the growing interest in Chiune, we felt that the time was right to offer these precious items to the public. 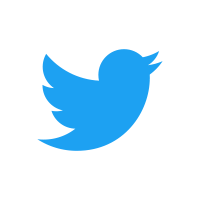 Even in an age when information is instantly available online, the real objects from the time have a visceral impact that cannot be duplicated virtually. 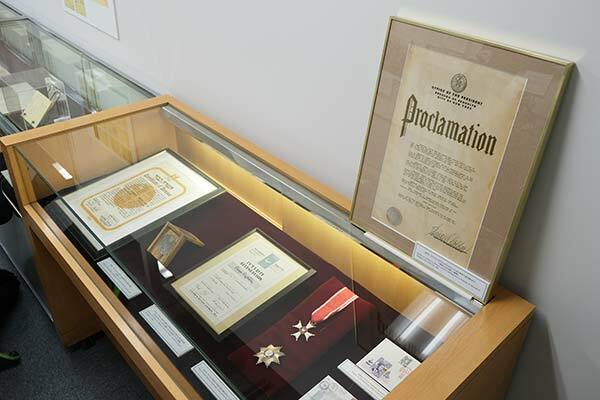 The museum offers many unpublished photos, an actual life-saving passport with the Sugihara stamp, Chiune's many awards (including the Righteous of the Nations medal from Israel's Yad Vashem Holocaust Center), the precious handwritten memoirs and a documentary created specifically for this space. In addition, we have created panels explaining the circumstances behind the visas with a focus on the Holocaust, backed by photographs, newspaper clippings and more. The story is told in detail, including Sugihara's background, the critical role of Dutch Honorary Consul Jan Zwartendijk, and the fate of the refugees and Chiune himself after the war. 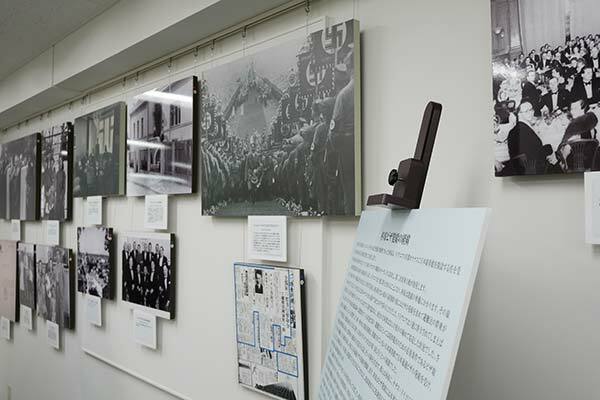 This is in fact the first Holocaust museum of any kind in Tokyo, and one of our goals beyond the Sugihara story itself is to bring a greater understanding of this period to the Japanese public, where the wartime situation in Europe is not always fully understood. It is our great hope that this museum will be not only a commemoration but an inspiration to all, in my grandfather's words, that "humanity and compassion come first". 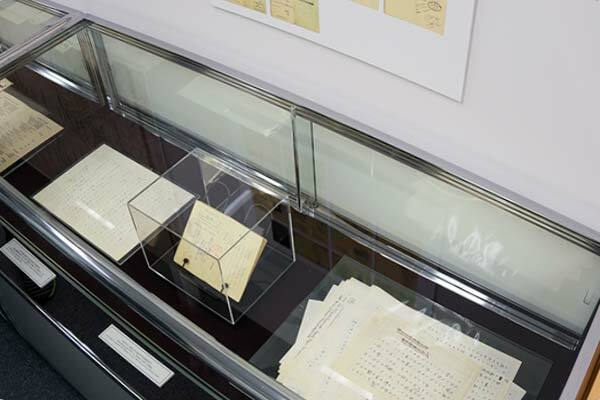 The Chiune Sugihara Sempo Museum opened its doors to the public. An opening ceremony was held in the presence of the diplomatic community, politicians, the media and invited guests. A pre-opening event was held for special guests. Closed on Mondays and Tuesdays other than public holidays. We gladly welcome group tours. * Please reserve in advance for groups of 10 or more. * Groups of 20 or more are eligible for special rates. 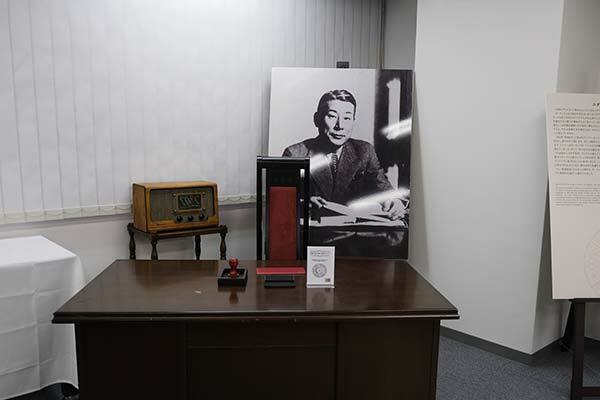 What is the Chiune Sugihara Sempo Museum? It is a museum dedicated to the honor of the Japanese diplomat during WWII whose bold actions saved thousands of Jews from annihilation in the Holocaust. 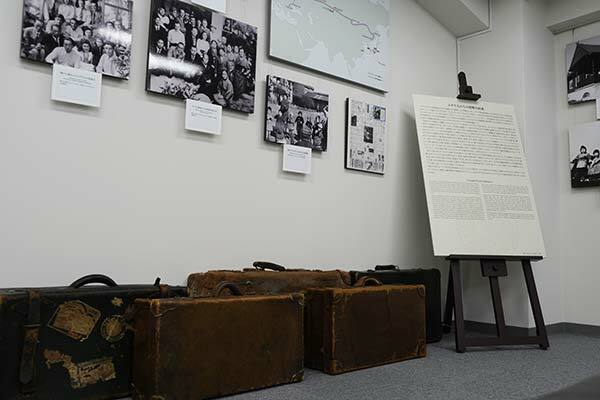 Exhibits include rare photos, manuscripts, documents, a Wall of Names listing all those who received life-saving visas by Sugihara, a special documentary video and wall panels explaining the story in detail. Suitable for all ages. It is run by NPO Chiune Sugihara Visas for Life, a private organization founded in 2001 devoted to ensuring that the story of the diplomat’s humanitarian acts is passed on to future generations. The museum is entirely privately owned, financed and operated. It is located in Tokyo within walking distance of Tokyo Station, the city’s gateway. The closest station is Kyobashi Station on the Ginza Line (Tokyo Metro G10), a three-minute walk. It is open daily from Wednesday to Sunday from 11:00am-5:00pm. It is closed on Mondays and Tuesdays except when those days fall on Japanese national holidays. Please check calendar for specific dates. Sorry, the facility does not have parking. Is there information in English? Translations are provided in English and Hebrew for all exhibits. The situation in Europe in summer 1939 had become increasingly fraught. Germany's occupation of Austria and Czechoslovakia had prompted Britain and France to offer explicit guarantees to vulnerable Poland, and war was coming to be seen as inevitable. It was under these circumstances that Chiune Sugihara, a diplomat in the Japanese Foreign Ministry, arrived in the Lithuanian capital of Kaunas in August 1939 to establish a consulate. Japan's interest in faraway Europe was dictated largely by its tense relations with the Soviet Union, and Sugihara, who was fluent in Russian (among other languages), had proven himself a skilled observer, analyst and negotiator in Soviet-related affairs during previous postings in Harbin and Helsinki. His key mission in Kaunas, he revealed years later, was to determine whether and when Germany might attack the Soviet Union, an event that would affect Japan's own military strategy and troop placement in the Far East. Just when he was taking up his post came the shocking news that Germany and the Soviet Union had signed a non-aggression pact, throwing Japanese diplomacy off course. Germany had given no notice to Japan, its nominal ally, that such development was in the offing. On September 1, Germany invaded Poland, leading to the outbreak of war in Europe. Two weeks later, Poland was invaded from the east by the Soviet Union and divided between the Nazis and Soviets based on a secret clause in the non-aggression pact, thus disappearing from the world map as an independent nation. Poland had the largest population of Jewish citizens in Europe. With the advent of the Nazis, those Jewish residents were at serious risk of extermination. The Jews turned desperately anywhere they could to escape. Vilnius, a key Jewish center that was historically the capital of Lithuania, was under Polish control at that time and became a key destination for the refugees. After the division of Poland, the Soviet Union returned that city to Lithuania, meaning that Jews there were now in politically neutral Lithuania. They moved quickly to gain visas and get out. Germany aggressively expanded its attacks in April 1940 and took over Denmark, Norway, the Netherlands, Belgium and Luxembourg in quick succession. By June, it had conquered France. In tandem, the Soviets took over the three Baltic nations of Estonia, Latvia and Lithuania. The situation sparked uncountable waves of refugees. With this development, Jews in previously neutral Lithuania now found themselves in the Soviet Union. Lithuanian Jews instantly became Soviet citizens, while Polish Jews were in danger of being sent back to Nazi-occupied territory, making their plight even more urgent. 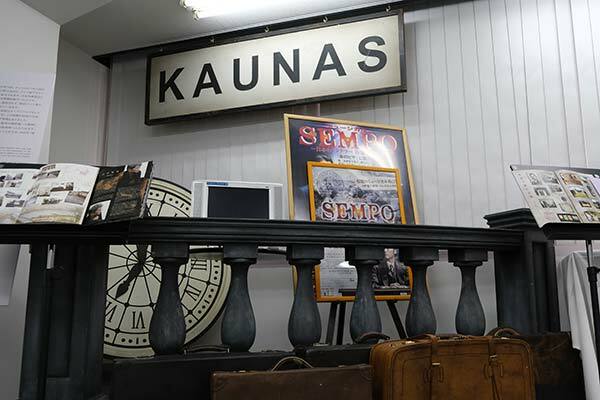 As Kaunas was no longer the capital of an independent country, the Soviet government ordered all foreign missions to close by the end of August, and embassies and consulates were shutting down one after another. Sugihara, preoccupied with the consulate's impending closure, Germany troop movements and Soviet machinations in Lithuania, was startled to awaken on the morning of July 18 to find a large group of people at the gates of the consulate. He soon learned that they were Jewish refugees seeking transit visas though Japan. With Nazi Germany occupying Western and Northern Europe, the only practical escape route for the desperate refugees was to cross Siberia to the east and try to reach a third country, but the rapid closure of foreign missions had made it increasingly difficult for them to get the all-important visas. A rumor had spread that they could get help from Japan. Sugihara communicated the situation right away to the authorities in Tokyo. Under Japanese law, issuance of a transit visa required mainly a valid passport, permission to enter a third country and sufficient funds. Sugihara recalls in his memoirs that few of the refugees who had rushed to the consulate could meet all or, in many cases, any of those conditions, and the number of applicants was staggeringly large. He explained to the Foreign Ministry that the rejection of the applications would be wrong on humanitarian grounds and sought permission to issue transit visas at his own discretion even if the refugees did not strictly satisfy the formal protocol. His repeated requests were rebuffed by Tokyo. After hard thinking, I ultimately reached the conclusion that humanity and compassion come first. I risked my career and duly executed my mission without hesitation. I'm confident even now that I did the right thing. Sugihara immediately began the issuance process, racing against time ahead of the consulate's imminent closure. Needing permission from a third country as a final destination, he came upon the ruse of using "Curaçao visas" issued by the acting Dutch consul in Kaunas, Jan Zwartendjik. These were documents nominally permitting passage to the Caribbean islands of Curaçao and Surinam, which were Dutch colonies. In reality, entry into those territories required the approval of local authorities, so the visas were not quite what they seemed. Nevertheless, they allowed Sugihara to meet the letter of the law. Sugihara continued to work furiously. He stopped numbering the visas after the total reached 1,000 and eventually refrained from collecting the application fees to facilitate the process. The Ministry of Foreign Affairs issued repeated directives ordering that the foreigner entry law be followed strictly. 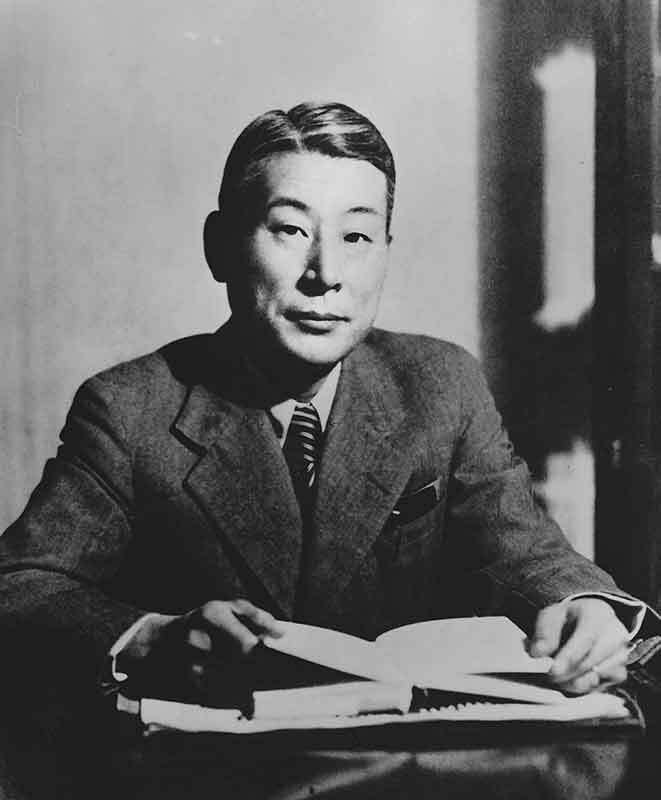 Sugihara delayed his responses, diverting the ministry's attention by restricting his communications to confirmation of individual cases up until the consulate's closure. The Japanese consulate was one of the last foreign missions to pull out of Lithuania. Sugihara continued to issue transit permits from the Hotel Metropolis and even from Kaunas Station as he prepared to leave for Berlin, working to his last moments to save the refugees. The official list indicates that he issued 2,139 visas, but that is not considered comprehensive. Moreover, visas at the time covered entire families. The total number of those saved has been estimated at over 6,000 persons. Returning to Japan with his family after the war in 1947, Sugihara was "encouraged" by the foreign ministry to resign. He writes more pointedly in his memoirs that he "was fired" for his insubordination in issuing the transit visas, but in any event, his many years of diplomatic service for his country came to an end at age 47. He worked thereafter in odd jobs such as teacher and translator before joining a trading company in Moscow when he was 60, serving there for the next 17 years. He never mentioned his past deeds. In August 1968, he was suddenly contacted by a survivor, Joshua Nishri, who had become economic attaché in the Israeli embassy in Tokyo. He recalled that Nishri approached him tearfully, holding a passport with the weathered visa and thanking him profusely. "Mr. Sugihara," he said, "We have never forgotten you." Sugihara learned to his surprise that survivors from around the world had been searching for him for years. The following year, he visited Israel and was welcomed personally on behalf of the government by Minister of Religious Affairs Zerach Warheftig, himself one of those rescued by the former diplomat. 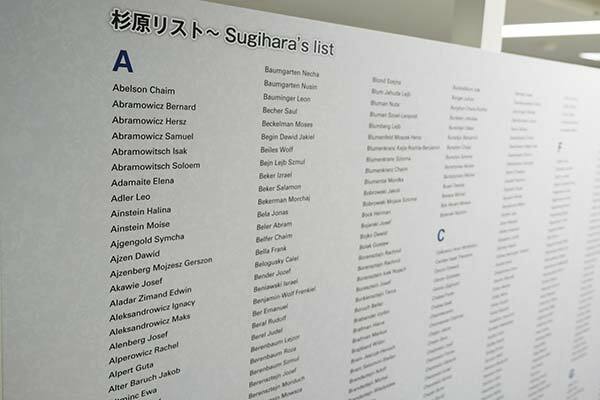 Ultimately, Sugihara was named Righteous Among the Nations, Israel's highest honor, by the Yad Vashem Holocaust Remembrance Center in Jerusalem in 1985. Sugihara's decision to put his empathy as a human being above his duties as an officer of the state stands as a ray of hope amidst the unspeakable tragedies of WWII and the Holocaust. At a time when conflicts driven by hatred and bigotry remain all too common across the globe, the story of one man's willingness to act under extreme duress out of courage, conviction and compassion for the helpless carries relevance for all mankind. Sugihara's actions should continue to be taught to and remembered by future generations everywhere. If you do choose to help, please contact us when the transfer is complete so that we may express our thanks.